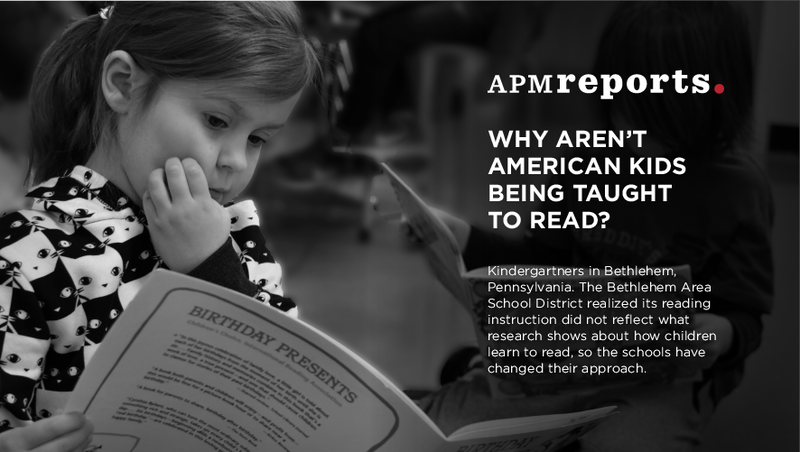 APM Reports’ award-winning documentary team created a four-part education series. The hour-long episodes, hosted by Stephen Smith, cover topics ranging from elementary to college students. Catch the next episode "Hard Words: Why American Kids Aren’t Being Taught to Read" on KWGS Public Radio 89.5 next Thursday, Sept. 14 at noon or Friday, Sept. 15 at 8:00 p.m. Missed an episode? Listen here! 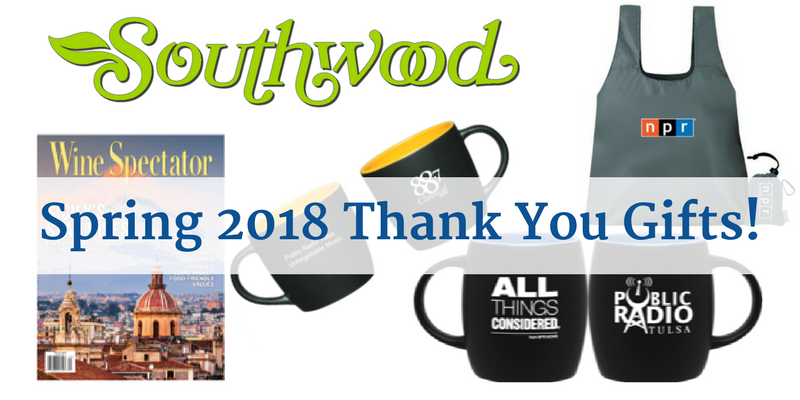 Recently at our Member Thank You Party at Southwood Landscape and Garden Center, we renewed our acquaintance with some of the earliest employees of KWGS. Sisters Doreen Wood(right) and Joyce Jackson(left) both worked at the station in its very first years when KWGS was a student laboratory, training a new generation of workers for the country’s primary electronic mass communication medium, radio. Fearless reporting. Powerful storytelling. All made possible by you. Whether the story is about Oklahoma teachers demanding increased school funding, or an order to deploy troops to the US-Mexico border…Public Radio Tulsa and NPR are there. We bring you news that matters, every day. And now, it’s your turn. Best Thank You Gifts Ever! 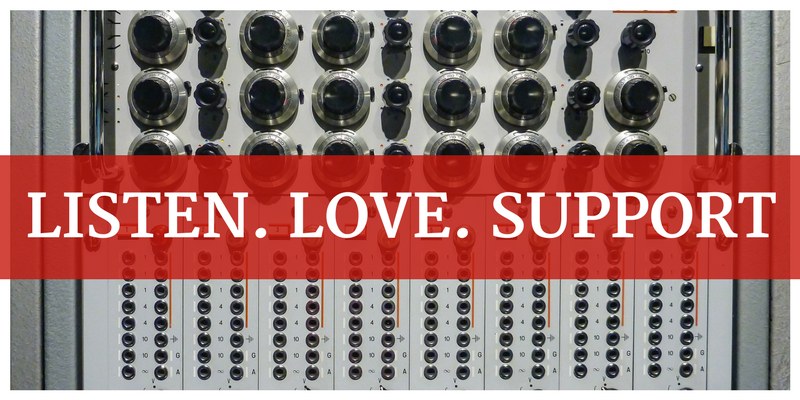 Supporting Public Radio Has Never Been This Great! Wine Spectator magazine in your mailbox each month for donations beginning at $60! Our newest mug: it’s beautiful, it’s bold, and it celebrates NPR’s award-winning All Things Considered! All this, plus TWO Early-Bird Specials (EXPIRED!). Thursday, January 18, 2018 at 12:00 p.m. | Friday, January 19, 2018 at 8:00 p.m. Calling All Not-Yet-Members: This is YOUR Time! Whether you’re a brand-new listener to Public Radio Tulsa, or a long-time fan who’s never quite made that first donation yet, the time to act is NOW! 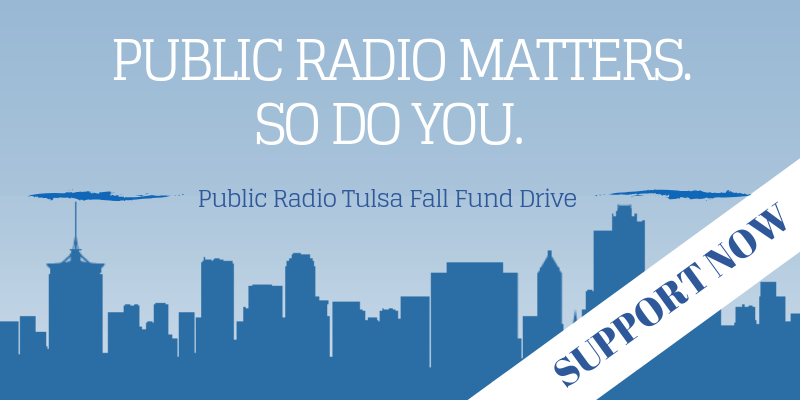 Public Radio Tulsa member Julia Harris has made a pledge of $5,000 to our Fall Fund Drive…if we receive donations IN ANY AMOUNT from 300 new members by midnight, October 14th. Great Journalism. 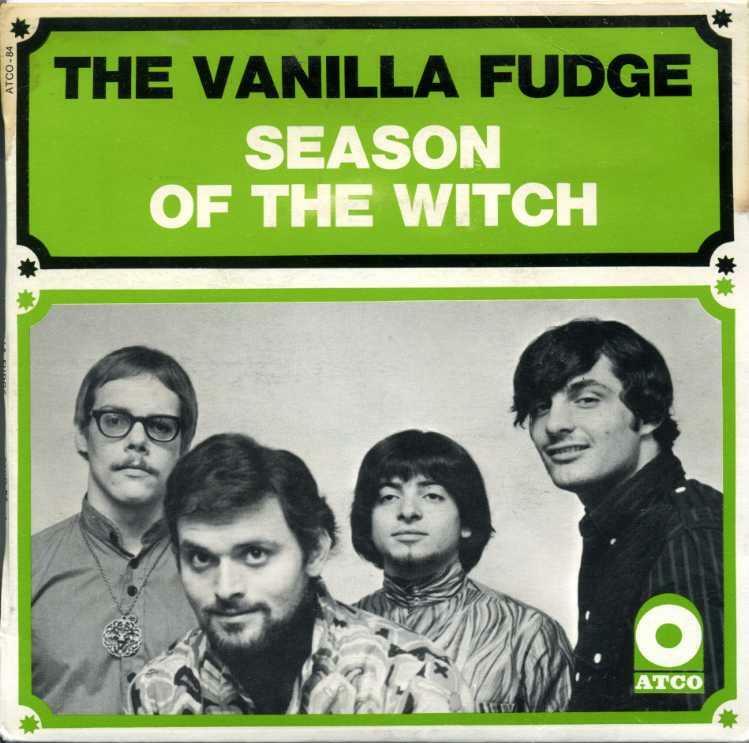 Unforgettable Music. Our Gratitude. Ahhh, that summer sun was great! But with fall and winter on the way, we’ve rounded up thank-you gifts perfect for cooler days. And introducing for the first time ever: NPR SOCKS! 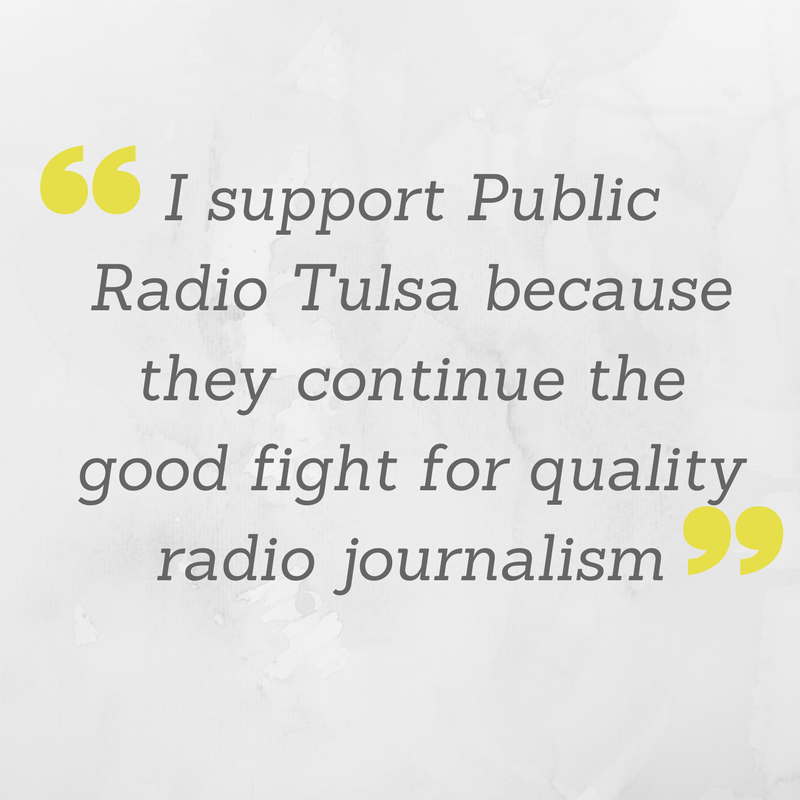 You turn to Public Radio Tulsa every day for news that delivers the facts. Not alternative facts. Not “blue” or “red” facts. But in-depth, scrupulously-researched stories that give you the information you need to make up your own mind. Facts matter. And so does your support. NPR One - Get the app! 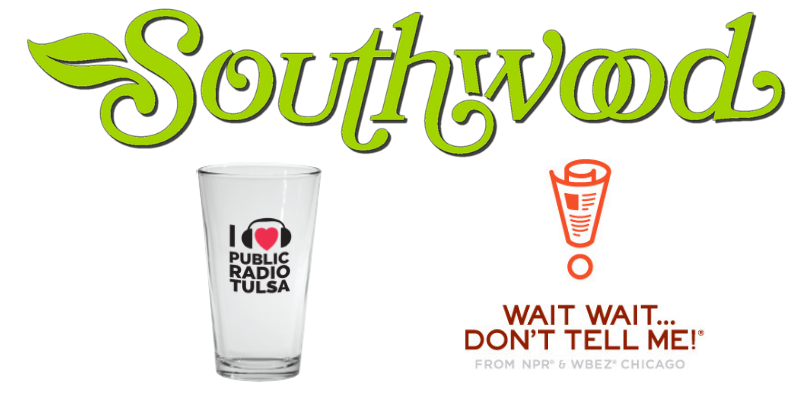 How do you listen to Public Radio Tulsa? How do you get stay-up-to-date with local news? Public Radio 89.5 begins Invisibilia Season 3 on Thursday, June 1, 2017. This four-episode season airs every Thursday in June at 12:00 p.m. and it will be rebroadcast Friday at 8:00 p.m. Tick tock! The doctor is in and she has issued a challenge. You can make a bigger impact with your dollars. 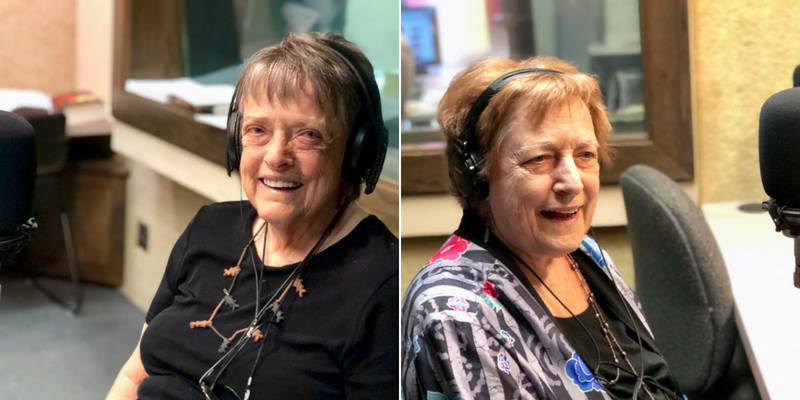 Here's how the challenge works: this afternoon between 4:00 and 6:00 p.m. if we receive $2,000 in pledges, Dr. Kathleen Heffron will donate $1,000 to Public Radio Tulsa. No Pitch Wednesday?! What is That?! No Pitch Wednesday?! What is is that?! It just means no programming will be interrupted on Public Radio 89.5 tomorrow for our fund drive! All pledge reminders will be heard during regular scheduled breaks. In the meantime, help us keep this incredible momentum going! We are 75% of the goal and counting! Stories with context and fact. This is what you have come to love and appreciate about public radio. This is why you turn to Public Radio 89.5 KWGS for your source of news and information, local and national. This is made possible because of YOU. 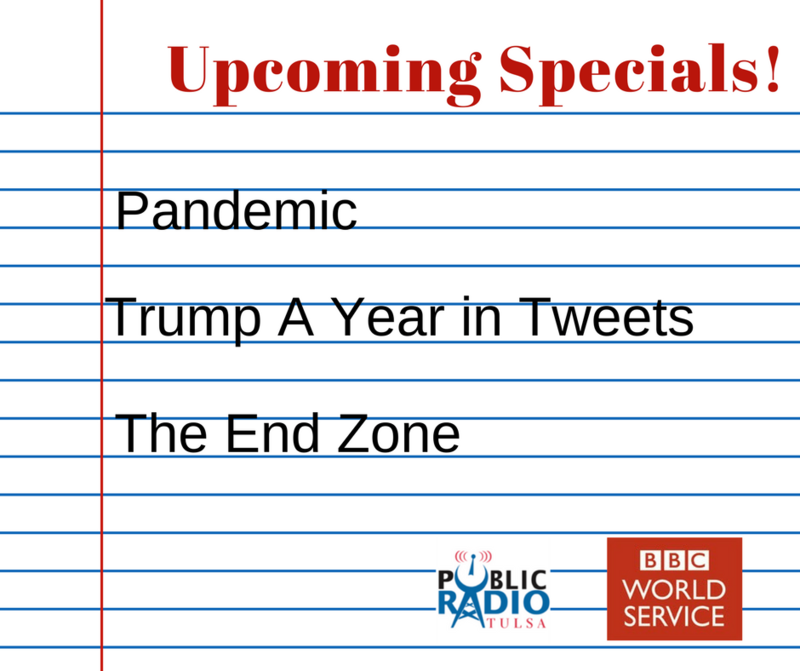 Public Radio Tulsa brings you great journalism and unforgettable music, every day. Your support is more important than ever. And we want to hear from you! 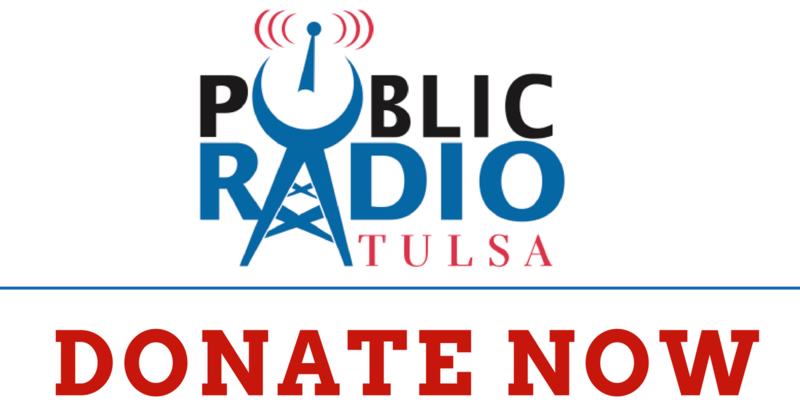 We are using listener comments on our social media and website during the Spring 2017 Fund Drive to encourage others to join you in supporting Public Radio Tulsa. CLICK HERE to let us know why you support and your favorite program!